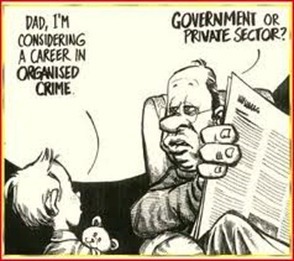 1 Why is corruption such a big deal? Why is corruption such a big deal? India’s GDP is growing at 7-9% per annum, and presumably will continue to blaze along for some time. So, why fret about corruption when things are looking rosy? What are we complaining about? Don’t we have more important things to do than (Jan) Lokpal bill? We’ve been mired in corruption for 50 out of 65 years. What’s another few years? Is it even possible to fix it? Can this Pavlovian reflex that causes the reaching out of hands under tables and behind closed doors into another man’s pocket be cured? Beyond the moral aspect, there are tangible and economic reasons as to why corruption belongs at the top of the list of issues India has to confront now. According to these key metrics, we’ve done well. In fact, outstandingly well. So, why bother? In the world of economics, capitalism and free markets, the past only evokes admiration and an occasional eulogy. The future is everything. The question that will be in front of us over the coming decade: How long can we keep this up? The answer lies in how we fix our problems. And if we do not fix the fixable, the future will be easy to predict. And, it won’t look pretty. 1. It’s a tax and it destroys morale. Corruption introduces enormous inefficiencies. It raises the cost of living for all except the corrupt. It’s demoralizes the talented and hardworking amongst us. 2. Will growth slow corruption or corruption slow growth? The answer is yes to both. If we don’t kill corruption, we won’t be able to grow. If we don’t grow, we won’t be able to kill corruption. 3. Perception is bigger than reality: We are no longer a sheltered economy living in our own shadows. We are on the global stage. We have to assure our potential partners that we are serious and that they will be treated fairly. It is a mark of leadership. A corrupt nation cannot be a world leader. It doesn’t really matter which side. If you don’t like Anna, go find someone else who’s worthy of your support. Whatever you do, you cannot stay silent. Dialogue is the life blood of a democracy. As good citizens of this country, we owe it our voices. It is said that power corrupts. It‘s perhaps important to realize that incompetency too corrupts. Power corrupts the few, while incompetency corrupts the many. Those unwilling to subject themselves to the tough realities of merit and hard work, resort to corruption. Insist on a job well done, especially if you’ve had to pay them for it! Indira Gandhi once supposedly remarked, “Corruption is a global phenomenon” as a way to explain corruption away. We’ve glorified such leaders. These chickens have been roosting for decades, and it will take effort and time to root them out. While you fight the good fight, how can you tell if your efforts are paying off? Try this: For every rupee you pay as “bribe”, pay yourself a matching rupee. Consider this your corruption provident fund. The size of this fund over time will give you an idea if we’re winning or losing. It’s easy to do. Worst case, you’ll have money to buy a few drinks and drown your sorrows if things take a little longer. Srini Chandrasekharan’s career in the high technology industry spans two decades. He blogs in a more humorous vein at http://whatho.in. In India the people mindset is totally worst.,, everyone here raises the hand fr anti-corruption but no one follows ..now a days the bride giving is just mandatory .. and everyone calculate the amount to be given for (particular work + bride) a poor man is the real sufferer of this ..,…. We all must stop giving the bride and the Indian government should take strict action against the corruption like suspending the one who takes the bride ..
in the small districts the people are facing severe problems like water ,transportation electricity etc,, the road transportation act takes all the Tax payments correctly with time, but not ready to make the good roads these are few problems …. A price way too high to be paid; yet well… VERY well DISGUISED that we don't actually know that we're paying for it. everyone says youth must revolt..its true..but if we revolt we loose our careers..maybe lives even…its like a secret naxalite like communtiy involving students showing them some hope that we are and will be with you and make students involved in some undercover actions…. It’s really helpful to awareness in uneducated peoples. because they only know what is the actual corruption is occur in India. Now the wikileaks also published corruption details in india. We need No Corruption and freedom India. Unless every one takes active role to end corruption it cannot be ended in months it will take many years. Corruption has become a part of our life since this is embedded in every government department, including the ministers and politicians. Say no to corruption. Take your stand against it. Yes Very well put up a common man’s problem and its solution in one blog. Yes Corruption Should be deal with for the First Place and leaders like Anna Hazare can help us to put our views across. But to change the world we have to change our self first and if everyone are ready to take responsibility for them self than we are surely going to make India as Super Power.